It was very windy today, and always in the wrong direction. 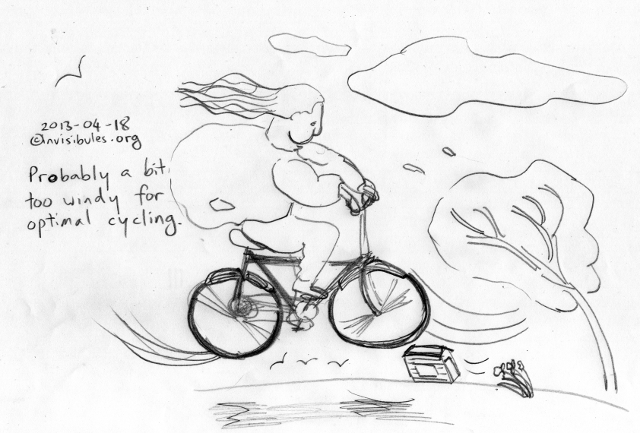 Probably a bit too windy for optimal cycling. If the wind was always against you, you were going the wrong way. yes – I was going up too much when I wanted to go back down again.